I just wanted you to know and to share news that the Virginia B/P Planner position is currently being advertised in the State Recruit and will be in Richmond Times Dispatch this Sunday. The closing date is September 13. The B/P Planner position will be heavily focused the first several years on working with localities on their B/P element of their Comprehensive Plans. The Safe Routes to School position is vacant now too, and I hope to be able to advertise that position in the very near future. We searched the Virginia Jobs website and couldn't find the position announcement. According to Robin "the position is going to be advertised in the next few days." We assume the Safe Routes to School position will also appear on that site. Sarah Weisiger left that position recently. At the same time, the Virginia State Routes to School State Network position, formerly held by Stephanie Smith, is also vacant. We understand candidates for that position are being interviewed this week. Update: The State Bicycle and Pedestrian Planner position and the Safe Routes to School Coordinator position are now posted on Virginia Jobs. On August 18, VDOT closed the bridge to reevaluate the design of the temporary access. VDOT has concluded its review and the ramp has been re-opened. Construction crews are continuing to work on raising the bridge and building a permanent access ramp. On or about September 13 the bridge will be closed for approximately 4 days to safely raise the structure and reposition the temporary ramp structure. Once the temporary ramp structure is repositioned the bridge will reopen to users with the permanent access ramp scheduled for completion and ready for service on October 10, 2010. 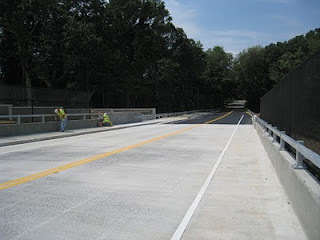 Thanks to VDOT and HOT lanes project staff for keeping this important connection across the Beltway open, a bridge used by many commuters and others. Thanks also to Alan who took the photo above and has been reporting on the situation. As stated in the press release, the bridge will be closed for at least 4 days. Any ideas for a safe bike detour route? 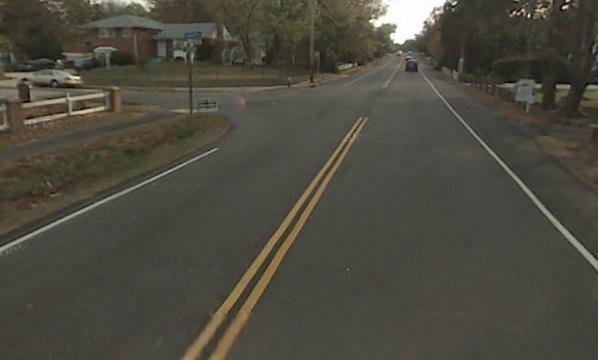 A 9-year-old Fairfax County girl was struck by a car and fatally injured Monday afternoon while crossing a road on her bicycle, county police said. The incident happened about 4:30 p.m. south of Alexandria on Franconia Road in the Rose Hill section of the county. The 9-year-old and two teenage girls had been been riding east on a bicycle path adjacent to Franconia Road, said Officer Don Gotthard, a police spokesman. As they approached Cannon Lane, the teenagers crossed Franconia on their bicycles from north to south, he said. The 9-year-old tried to cross as well, but was struck by a car in the westbound lanes of the road, Gotthardt said. She was taken to Inova Fairfax Hospital, where she died, he said. 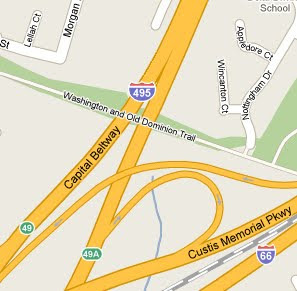 The Fairfax County girl who died after being struck by a car has been identified as Rebecca Johns, of Clermont Drive. We will try to find out more about the circumstances of the crash. In the photo above from Google Street View you can see the trail on which the girls were riding on the left side of Franconia Rd. The photo is looking east. It seems odd that the motorist would not see the girl. According to the article, two other girls had crossed just before her. As kids return to school it's even more important that motorists be on the watch for them. Police say a 2004 Mercury sedan struck Rebecca Johns, of Alexandria, who was riding with two of her friends, while driving along Franconia road near Cannon Lane. The girl was rushed to the hospital where she later died from her injuries. The driver of the car, an 80-year-old man, is not suspected of speeding or being under the influence of alcohol or any other drugs. Update: According to NBC4 and ABC-7 newscasts, no charges were filed against the 80 year old motorist. Virginia Insight, a Charlottesville public radio show on local issues, hosted a good program on bicycling in Virginia. It included a brief discussion of the draft Virginia Bicycle Policy Plan. The following people discussed making Virginia more bike-friendly: Vince Caristo - Executive Director, The Alliance for Community Choice in Transportation (ACCT), Thomas Jenkins - Former professional mountain bike racer. Co-owner of Shenandoah Bicycle in Harrisonburg. Advocacy Coordinator for the Shenandoah Valley Bicycle Coalition, and Ruth Stornetta, Ph.D. - Member of the cyclists’ advocacy group Bike Charlottesville and past president of the Virginia Bicycling Federation. We don't have a direct link to the show yet. We listened to it live and we assume it will be on their archives page soon. Giving UVA students a bike education class as part of their orientation was one of the better ideas mentioned. One issue that should be addressed in the bike policy plan is the fact that local communities receive transportation funds based on the number of lane miles, and when a road diet is used to create lane miles for bicyclists, they lose funding. Instead communities should receive incentives for implementing road diets. The comment period for the bicycle policy plan ends Friday, September 17. We'll be posting our comments here soon. Bike to Work – No, Really. 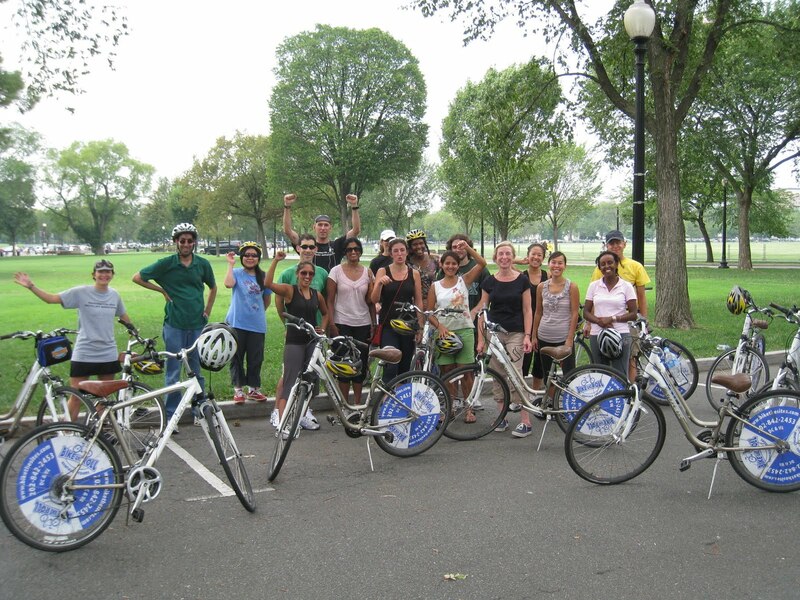 We know that the prospect of biking to work in D.C. area traffic can be intimidating, but if you follow the rules of the road and use the resources above, it can actually be fun! It costs less than other modes, allows you to get a workout on the way to and from work, generates no pollution and means one less car on our congested roads. Unfortunately, it can also be sweaty. One option is to ride slower. If your workplace doesn’t currently provide showers or storage space for your bike, talk to your employer about adding these amenities. Becoming a League Cycling Instructor (LCI) certified to teach Smart Cycling is a great way to help cyclists in your community. Certified instructors can teach Smart Cycling classes to children as well as adults. Help bring the joy of safe cycling to others. If you are an experienced cyclist and would like to teach others please consider taking the next step towards certification. Becoming a League of American Bicyclists member ($35) and taking Traffic Skills 101 are prerequisites for a LCI certification seminar ($200). Candidates may take all three of WABA's Confident City Cyclist Series (CCC 1, 2 and 3) which are equal to the TS101 or may take a TS101 class. The seminar will be held at WABA's offices, Fri-Sun, Nov 19-21, 2010. Class times are 11/19 Fri. 5 pm-9 pm, 11/20 Sat. 8 am-8:25 pm, 11/21 Sun. 8 am-3:30 pm. 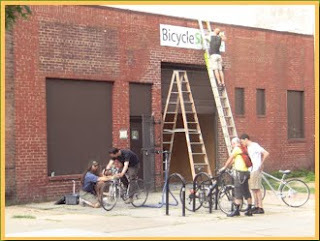 TheWashCycle pointed out that BicycleSPACE, a new shop for everyday cyclists, recently opened in DC. It's co-owned by Eric Kugler, formerly the director of finance for City Bikes Inc. and Phil Koopman, former co-owner of City Bikes Inc.
introducing the community to bikes that fit its transportation and health needs by carrying everything from cargo bikes which are designed to carry several suitcases (or shopping bags) to hand-made Brompton folding bikes, to the finest active clothing and accessory lines available. Koopman knows as much about using a bicycle as a daily means of transportation as anyone in the area, having served on the Bike To Work Day organizing committee for the past 20 years and having commuted over 100,000 miles by bicycle in the past 25 years. We wish them well and we hope to get to the Mt. Vernon Square area to check out the shop located at 459 I Street, NW. As part of the Capital Beltway HOT Lanes project, the existing Wakefield Park Pedestrian Bridge is being raised approximately two feet, extended 30 feet to the west and a new access ramp is also being built on the outer loop side of the Capital Beltway. 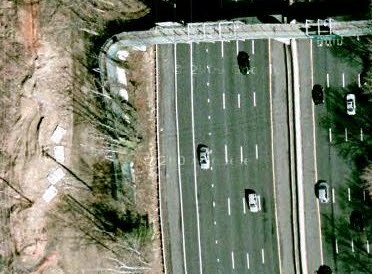 The Capital Beltway HOT Lanes project team had built a temporary access ramp to keep the bridge open while the bridge extension and modifications were underway. VDOT is currently assessing the design of the temporary access ramp. Until this review is completed VDOT has directed the bridge to remain closed. While the VDOT review continues, construction personnel are working to finish the permanent access ramp as well as raise and lengthen the bridge. The reconstructed bridge and new ramp are expected to be completed and open by late October 2010. Key words are "VDOT is currently assessing the design of the temporary access ramp. Until this review is completed VDOT has directed the bridge to remain closed." We're hoping this issue is resolved soon. We should know more on Monday. At the governor's pep rally, or rather Town Hall meeting tonight, he discussed his desire to make government more efficient and to fund transportation by selling ABC stores. He said what we need is more liquor stores so we can sell more booze to build more roads. He would start by auctioning off 800 liquor licenses. When someone asked that since there are 13,000 places that sell beer and wine, shouldn't there be more places that sell liquor. He said we need to start gradually, implying that the number of places to buy booze would increase over time. Isn't that just what we need? A few speakers, who had arrived at 5pm to sign up, were asked to give their creative ideas about how we can reform government. About 90% said we should sell the ABC stores so we can have more liquor stores and sell more booze. When someone asked if the governor would end the $45M coal subsidy, there was an attempt to shout her down. When the governor said he wouldn't end the subsidy, he got a round of applause. The best ideas, from the Sierra Club reps, were about providing incentives for energy conservation. As I recall, Virginia is 6th worst at energy conservation, and our low energy costs are offset by the need to use much more than other states. It was hard to argue against low cost measures to save energy. A couple of us rode to the event. Here's a shot of the bike parking. As usual it was tucked away in an unusable (by cars) corner of the garage. The ceiling was so low that Mike hit his head while preparing for his ride. Always wear your helmet, even when parking your bike. 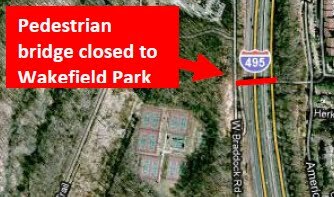 We just learned that one of the only bike/ped crossings of the Beltway, the bridge to Wakefield Park, will be closed for two to three weeks. There is no new information on the HOT lanes Wakefield bridge web page.When we learn more we'll post info here. Let us know if you hear anything. Update 25 August: The bridge is closed. There is no detour identified yet. We've been told the bridge could be closed for up to 8 weeks. This is what we've learned from talking to the county bike coordinator: "The bridge is not being replaced, it's being lengthened. In order to do so, the existing west end of the bridge needs to be jacked up and the existing abutment demolished. A new abutment will be built adjacent to the old and the bridge beams will be extended." It sounds like ADA accessibility is an issue. However, given the difficulty of reaching the western entrance to the bridge under normal conditions, this seems unrealistic. We hope a compromise can be reached. Stay tuned. People are significantly fatter in countries, states, and cities where car use is more common. Mass transit use, on the other hand, is correlated with lower obesity. But there has been scant evidence that public transportation actually causes widespread weight loss — until now. A study of residents in Charlotte, N.C., found that users of the city’s new light rail system were 81 percent less likely to become obese, and reduced their Body Mass Index by an average 1.18 points — the equivalent of 6.45 pounds for a person 5’5″ tall. The study appears in the American Journal of Preventive Medicine. RESULTS: Countries with the highest levels of active transportation generally had the lowest obesity rates. Europeans walked more than United States residents (382 versus 140 km per person per year) and bicycled more (188 versus 40 km per person per year) in 2000. DISCUSSION: Walking and bicycling are far more common in European countries than in the United States, Australia, and Canada. Active transportation is inversely related to obesity in these countries. Although the results do not prove causality, they suggest that active transportation could be one of the factors that explain international differences in obesity rates. Thanks to Hunter for pointing out the NY Times article. As we mentioned in an earlier post, Gov. McDonnell will be discussing his plans to solve the transportation crisis by selling ABC stores and drilling for oil off the Virginia shore at a Fairfax town hall meeting tomorrow evening. The meeting is on Wednesday, August 25 from 7:00pm-8:30pm, at the Center for Innovative Technology Auditorium, 2214 Rock Hill Road, Suite 300, Herndon. 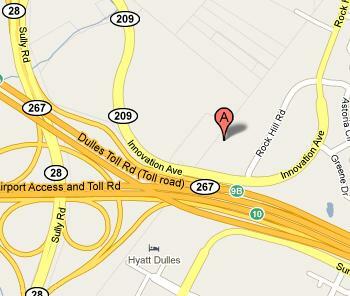 It's the upside down building at the intersection of the Dulles Toll Rd and Rt 28. Why not show up and give the governor one of your best ideas about getting people out of cars and onto bikes? We plan to ride there; the site is not served by public transit. There is bike parking located in the garage. If you would like to meet up in Herndon beforehand, let us know. Update: You can see the powerpoint presentation that was given at previous town hall meetings (pps format). If you have a cost-saving idea (like providing bicycles to state employees for use during the day instead of driving), submit them to the reform.virginia.gov website. See a list of proposed government reform projects. The Washington Post published an opinion piece on selling liquor stores to pay for transportation projects, Privatizing Virginia liquor stores makes sense, and a good letter to the editor pointing out why it's not likely to work, New liquor taxes won't fly in Virginia. We spent Saturday morning helping Glen Harrison of WABA teach the Learn to Ride class downtown. It was a great experience working with adults who wanted to ride a bike for the first time in their lives. There were nearly 20 people in the class and almost everyone was riding by the end of the 3 hour session. The class is a great deal. For $10 students receive a rental bike from Bike and Roll, a helmet, three hours of instruction, and 1 year introductory WABA membership. We met at the Old Post Office Pavilion location where people signed in and received a helmet and bike. We then walked the bikes to the Ellipse where there is a large parking area. The parking lot has a slight slope which helps the budding cyclists learn the first step in the process, coasting. Pedals were removed from the bikes, seats were lowered, and students walked the bikes to build up a little speed and tried coasting. Once they could coast for 50 feet and were confident on the bike, pedals were put back on. They learned about putting the pedals in the power position and began to learn how to pedal the bike and stay upright, ie they learned how to ride. There is nothing quite like the smile on a person's face when they first learn to ride a bike. It takes a lot of courage to learn as an adult, but it's a skill they can use for the rest of their lives. 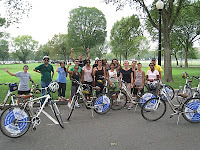 If you know an adult who wants to learn to ride, tell them about WABA's Learn to Ride class. The new W&OD Trail bridge over the Capital Beltway is under construction on the north side of the existing trail bridge. The existing bridge and trail will remain open during construction. Currently, on both sides of the Beltway, bridge abutment walls are being constructed next to the existing bridge and trail. PLEASE USE CAUTION WHILE IN THESE WORK ZONES. The bridge beams are scheduled to be installed in October and the bridge deck is scheduled to be installed in November. 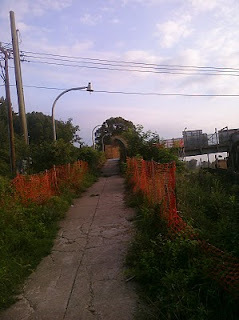 Once the new bridge is open to trail users, the existing bridge will be removed. Please check this site for updates. For more information contact Dan Iglhaut at NVRPA at 703-359-4628 or diglhaut@nvrpa.org. As we mentioned yesterday, the Idylwood bridge over the Beltway is now closed. Most cyclists avoid this bridge because it's narrow and carries lots of traffic. An alternative for cyclists is the Oak Street bridge (map). It was closed for a year but is now open and as you can see from the photo, has a paved shoulder for cyclists. You can also see employees putting on the finishing touches to the bridge. You can almost see that the bike lanes disappear at the end of the bridge, but Oak Street usually carries little traffic and is very bikeable. 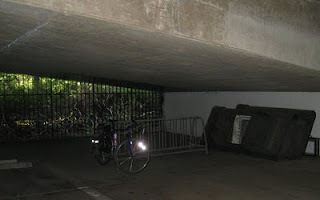 Cyclists coming from the W&OD Trail often use this bridge to avoid riding on Gallows Rd from the trail. While the bridge is now used as an alternative to Idylwood, traffic should drop off when Idylwood bridge construction is completed in February 2011. Getting bike accommodations on HOT lanes bridges was a major goal of FABB. We worked with the county, VDOT, and the private contractor to encourage them to include bike facilities shown on the county Trails Plan. While not ideal in some places, there will be bike facilities on most of these new bridges. The next challenge will be to connect the new facilities on the bridges to bike routes on both sides of the Beltway. 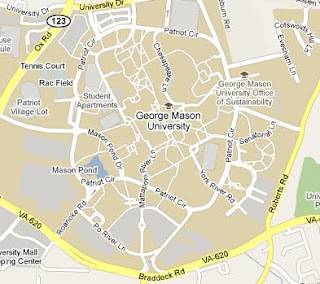 According to Josh Cantor, Director of Parking and Transportation at George Mason University: "bike lanes have been added around most of Patriot Circle. 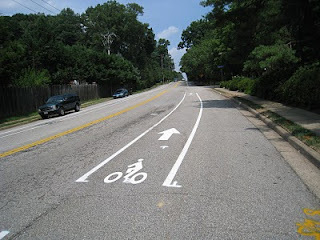 In a few places where the road doesn't have the width for a dedicated bike lane, sharrows (share the road bike markings) have been painted on to remind motorists of bicycle traffic." As you can see from the map, Patriot Circle is a major route encircling the campus. 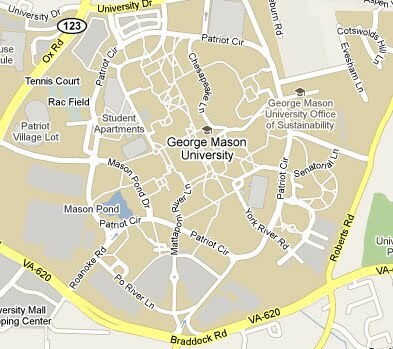 Congratulations to GMU for creating dedicated space for cyclists on campus. GMU has been making great strides promoting bicycling on campus. We've worked with them in the past on planning the initial Bike to Mason Day in 2008, handing out literature to students, and discussing options such as bike sharing to reduce student parking. There's great potential for cycling on campus and thanks to the support of Transportation staff, more and more people are choosing to go by bike. TheWashCycle mentioned that the Idylwood Bridge will be closed until the end of the year. We took the photo on the right a while back and have been meaning to post it. It's a VDOT sign announcing the closure of the Idylwood Bridge. The other thing we've been meaning to do is call VDOT and tell them to please find a better place for this sign. Not only is it blocking the Gallows Rd sidepath, the edge of the sign is sticking out over the path at just about head height. I wouldn't want to be riding by it at night. The good news is that when complete, the Idylwood bridge will be wider with bike accommodations. The Oak Street bridge was recently re-opened after undergoing similar reconstruction and it too should have bike facilities. We'll be riding by there tomorrow and may check out the new configuration. "A detour route has been identified using existing trails in the Colvin Run Stream Valley, Lake Fairfax and W&OD parks. Signs and trail markers labeled 'Detour' will be posted along the new route, and a map will be available for download from the Park Authority Web site." The work will be completed in September, and will remain in place for the duration of the closure. This is good news for off-road cyclists. Closing a major trail like the CCT (or XCT according to The WashCycle to avoid confusion with the other CCT) is a major inconvenience for area cyclists. When we asked park authority staff about the status of the project recently we were told that a detour was in the works and that signs had already been printed. While many cyclists already know about the planned route, it's great to see it will be signed and in place soon. 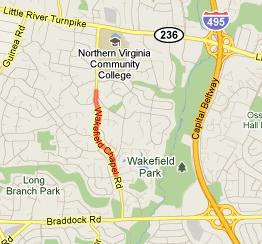 VDOT is planning to modify a short section of Telegraph Rd just north of Huntley Meadows Park near Ft. Belvoir. This part of Telegraph Rd, from S Van Dorn St to S Kings Hwy, is a narrow, congested two-lane road. It is now part of U.S. Bicycle Route 1 (see also the Adventure Cycling U.S. Bicycle Route page). Now that access through Ft. Belvoir is restricted, cyclists are not able to ride along Woodlawn Rd through the fort. Telegraph Rd is part of the alternate route as shown on the Northern Virginia inset (large pdf) of the Virginia bike map, Bicycling in Virginia. VDOT plans to modify the two-lane section by adding several new turn lanes, bike lanes, a shared use path on one side and a sidewalk on the other. With two busy roads on either end of the project, there are many turning movements and safely routing bike lanes through traffic will be a challenge. 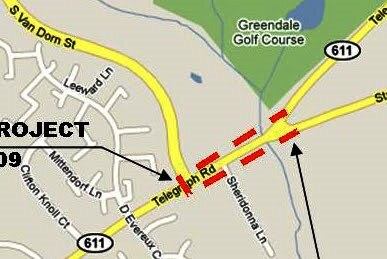 See the VDOT Telegraph Rd project web page that includes a vicinity map. VDOT recently announced that the public hearing will be held on September 23 from 5-8 p.m. at Hayfield Secondary School, 7630 Telegraph Rd, Alexandria, 22315. We will review the plans at VDOT headquarters and will be preparing comments for the public hearing. This is an important part of the bicycle network for Fairfax County. Bike lanes on Telegraph Rd are part of the county Trails Plan. Mulligan Rd, just south of this project, will have bicycle facilities and will be replace Woodlawn Rd as part of U.S. Bike Route 1. Bike lanes are also planned as part of the Mulligan Rd/Telegraph Rd project about which we've written in the past. As the date for the public hearing approaches we'll be posting our comments on the project. The original signs were designed to be easily removed during snow-plow season, and replacement signs may be installed more securely. Alternatives to signs have been considered, but Gordon said it has been determined that signs are the most effective accident prevention and safety education tool. Orange cones were placed over the former signs' bases, which remain sticking out of the ground in the middle of the intersections. Police officers accepted a $500 donation at last week's City Council meeting from the Friends of the W&OD Trail, while disputes between drivers and trail users became a hot topic in recent News-Press Letters to the Editor, online comments and Facebook posts. VDOT has been asked to cut projects with unspent funds. In the past these cuts were done proportionally so that one type of project, such as bicycle or pedestrian projects, was not cut more than others. The current cuts (known as recissions) do not have the proportionality clause. As a result, unspent bike/ped project funds could be cut more than others. One way to demand that the cuts are proportional is to contact Governor McDonnell. The League of American Bicyclists have made it easy to do so, with a draft message you can send. Visit their advocacy corner, fill out your contact information, and send the letter. The Virginia Department of Transportation (VDOT) has developed the State Bicycle Policy Plan to ensure bicyclists are an integral component of Virginia’s multimodal transportation system, and to provide bicycle policy recommendations that will guide the planning, design, construction, operation and maintenance of bicycle accommodations. 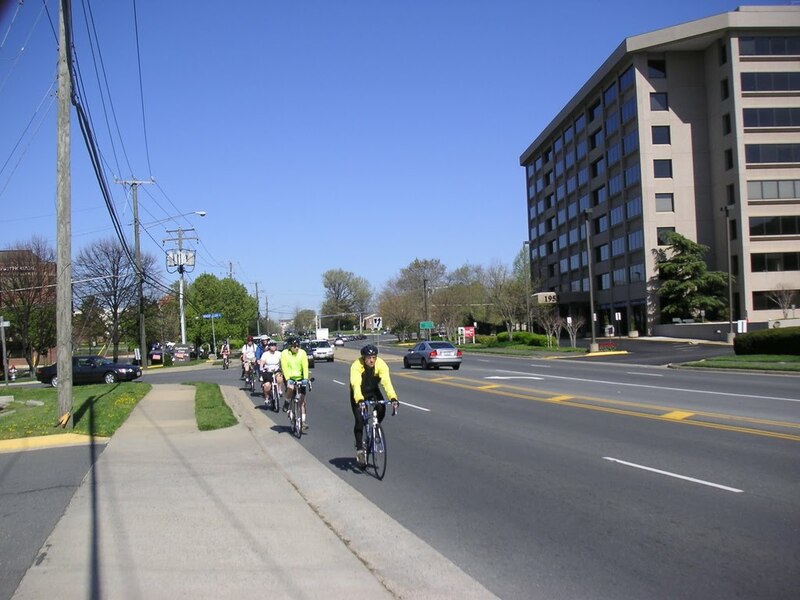 The draft plan provides strategies and identifies opportunities for enhancing the implementation of the Commonwealth Transportation Board’s 2004 Policy for Integrating Bicycle and Pedestrian Accommodations, as well as VDOT’s coordination within the agency and with stakeholders across the commonwealth. 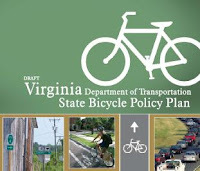 The VDOT State Bicycle Policy Plan, including a summary of recommendations is available for public review and comment beginning Monday, Aug. 16, and concluding Friday, Sept. 17, 2010. In an earlier FABB blog post we noted that this draft was expected in mid-February. Since that time the state bicycle coordinator left his position, which likely delayed completion of the draft. As stated in the title, this is a policy document. There are few specific facility recommendations. Those are left to the local jurisdictions, even though VDOT controls most roads in the state. 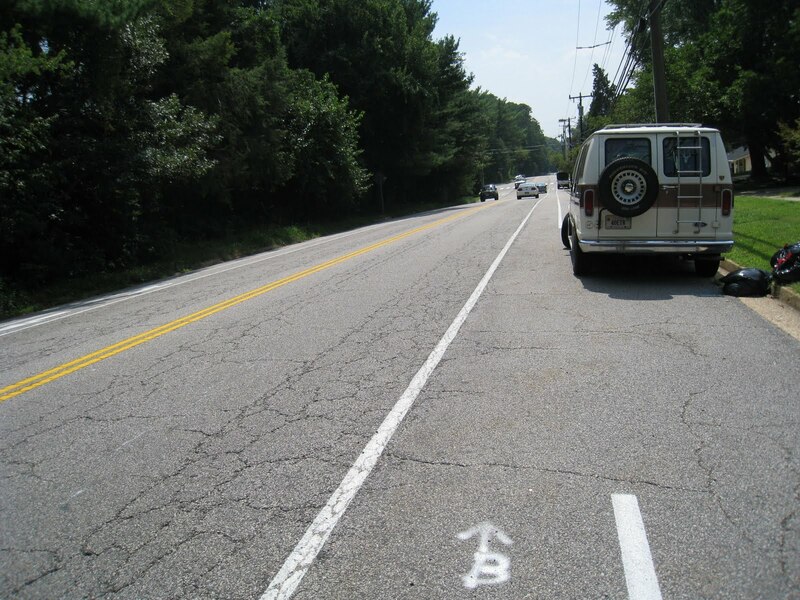 There are recommendations for the segments of US Bike Routes 1 and 76 in Virginia. Fortunately Fairfax County has begun the bicycle master planning process to develop specific recommendations for the county. We plan to review the document and prepare comments that we'll post here. As we noted earlier, the Tysons Bicycle Plan process is underway. The kickoff meeting for the advisory committee was held August 3. In our blog entry about the meeting we mentioned in passing that the second phase of the bicycle plan process is a countywide bicycle planning effort that is fully funded and will begin after the completion of the Tysons plan. This is a major landmark and cause for celebration. The county has been trying to find funds for a county bicycle master plan for some time, including applying for funding from the Centers for Disease Control. While operating funds for the bicycle program were eliminated from this year's budget, there were unspent funds from earlier years along with funds this year from the commercial and industrial tax.Congratulations to the bicycle program for finding the funds for this effort. Now it's up to Fairfax cyclists to help. Public meetings are planned for the Tysons bicycle plan and over the next year meetings will be held to seek input on bicycle priorities throughout the county. The county will host a web page devoted to the planning effort. We plan to do the same with information about meetings, progress reports, maps, and other related information. An excellent resource is Creating a Road Map for Producing & Implementing a Bicycle Master Plan by Peter Lagerway of Toole Design Group. Toole Design Group is the consultant team in charge of producing the county plan. Another resource is the document FABB used when discussing the need for a bicycle master plan with Board members and others, Why Fairfax Needs a Bicycle Master Plan. 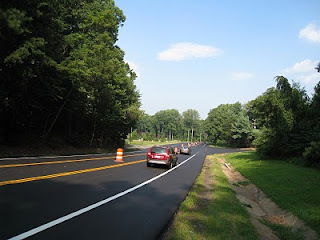 Today we had a chance to check out the new bike lanes on Wakefield Chapel Road. As you can see from the map on the right, the extent of the bike lanes is a little less than 1/2 the length of the road. On the south, from Braddock Rd to Queen Elizabeth Blvd there is limited right of way and the same is true from Pulley Ct to Little River Turnpike/Route 236 in the north. We were mostly interested to see if the striped lanes placed cyclists in the door zone. On the southern end of the bike lane section the parking lane and bike lane both seem substandard. We didn't have a tape measure, but pacing off the distances it seemed like the parking lane was only 6 feet from the edge of the gutter pan and the bike lane was 4 feet. As we summarize in the newly published Guide to Reviewing Public Road Design and Bicycling Accommodations for Virginia Bicycling Advocates, "Bike lane width adjacent to narrow parking lane: 6-7 feet." The extra width gives cyclists room to maneuver. I believe the AASHTO guidance for parking lanes is for 7-8 feet in residential areas. As you can see from the first photo with the white pickup truck, there is very little room for parking and the bike lane, and a cyclist riding in the bike lane would clearly be in the door zone. The photo was taken looking south. The truck's right wheel is in the gutter plan and the truck just barely fits within the parking space. An open door would extend nearly across the full width of the bike lane. In this case a cyclist should either ride on the far outside edge of the bike lane or take the lane to avoid being put into a dangerous position. The second photo, with the van, is particularly interesting. The van is parked far to the right, and yet the bike lane striping couldn't be done with it parked there. The inside bike lane strip stops at the bottom of the photo and continues just past the van. We assume the van was there when the striping was done. The north section without bike lanes consists of a four lane section with a median. Cyclists can easily ride in the outer lane, taking the lane and motorists can pass in the inner lane. The worst place is between the end of the bike lanes at Pulley Ct and the start of the four lane section. There's a small rise in the road where it's narrow and cyclists will be going slow with no choice but to take the lane. The last photo is looking north at the end of the bike lane with the small hill in the distance. Even at midday there was a lot of traffic. This would be a good location for shared lane markings. The striping needs to be tweaked. Unfortunately it's not uncommon for problems like this to occur, especially when a community is getting experience placing bike lanes. The worst problem is the very narrow parking lane and bike lane in the southern section. It might be wise to remove the bike lanes altogether and replace them with shared lane markings, showing cyclists where they should place themselves when riding next to parked cars. This will likely be a topic of discussion at the next FABB meeting on Wed., August 18 at 7:30pm at Patrick Henry Library in Vienna. Today the MWCOG Air Quality Forecast predicts a Code Orange day. The air is "Unhealthy for Sensitive Groups." According to the AirNow.gov page Air Quality Index and your Health, "Although general public is not likely to be affected at this AQI range, people with lung disease, older adults and children are at a greater risk from exposure to ozone, whereas persons with heart and lung disease, older adults and children are at greater risk from the presence of particles in the air." Besides the sensitive groups, bicyclists are also at risk. According to this helpful Air Quality Index brochure, on Code Orange days, everyone should limit prolonged or heavy exertion. Bicycling qualifies a heavy exertion, and if it's done for several hours it's considered prolonged. What can you do if you still rely on a bike for transportation? Ride slow. It may be hard for some of us to slow down, but it's highly recommended if you want to avoid damaging your lungs. It's definitely not a good idea to do extensive training. Code Red days are of course worse, and the recommendations include avoiding prolonged or heavy exertion. I do avoid riding on Code Red days. Fortunately July 7 was the only Code Red day in the region this year. See the MWCOG Air Quality Data page for more info. 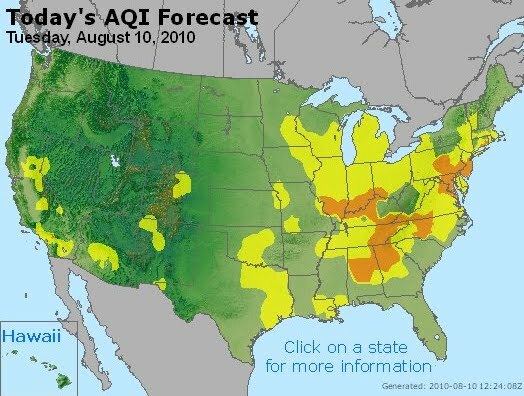 See a map of today's air quality forecast for the U.S. Maybe it's time for an Idaho vacation. As part of a traffic calming project, bike lanes were recently striped on Wakefield Chapel Road. 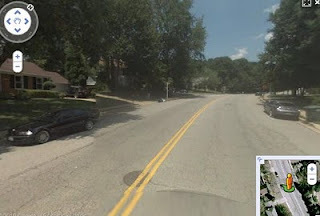 The lanes extend from just north of the intersection with Braddock Rd to Pulley Ct.
As you can see from the Google Maps streetview taken before the bike lanes were striped, the road is wide and is a good bike route without the bike lanes. See the county bike map The north section of Wakefield Chapel Rd is in the lower right of the map section. The dashed red line at the north end of the road, the Less Preferred route symbol, is the stretch without bike lanes. However, since the lanes were wide, speeding was a problem. With the bike lanes the travel lanes are narrower which should slow traffic. Unfortunately, where the lanes are needed the most, at the northern end of the road leading to Northern Virginia Community College, there is not enough pavement or right of way to easily add bike lanes. It's time for a field trip to check out the new bike lanes. 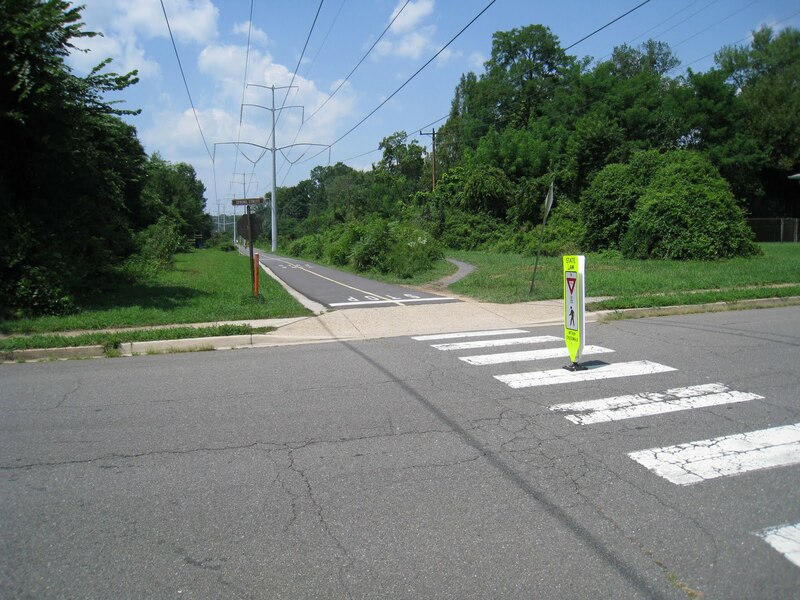 We noticed that the City of Falls Church recently installed signs in the middle of the crosswalks on most of the side streets intersecting the W&OD Trail. The signs warn motorists to Yield to Pedestrians. We thought they were a great idea; others aren't so happy with the signs, saying they are a hazard to trail users. What do you think? Similar signs are in place in Vienna (see a Google Maps Street View of the Vienna signs). The Vienna signs are placed on the outer edges of the crosswalk. They pose less of a hazard than the Falls Church signs, but if there are several people crossing at one time, either location could be a potential problem. Personally we think either location works and their presence sends a strong message to motorists. The side facing the trail should have reflective material and be easily seen by cyclists. 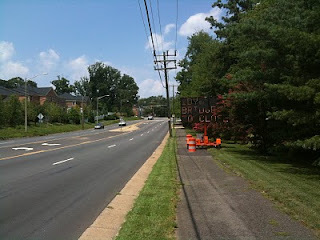 From this photo linked on the BikeWashingtonDC listserv, that's not the case with the Falls Church signs. We've been told that due to cyclists' complaints, the signs were removed yesterday. Let's hope they return in a safer location. This is guidance from the Manual on Uniform Traffic Control Devices on use of the in-street pedestrian crossing signs. Last month GreaterGreaterWashington hosted a Live chat with Shane Farthing of WABA. Shane is the new Executive Director of WABA. A followup to that chat, WABA's Shane Farthing answers the rest of your questions, recently appeared on GGW. Thanks to Shane for the kinds words about FABB and about our new advocate's guide. In some places, there are already strong local groups that work with us in this manner. I'll take this opportunity to plug our friends at Fairfax Advocates for Better Bicycling (FABB) as one good example. They handle local Fairfax County cycling issues wonderfully and have recently released a publication (in partnership with WABA and funded by the League of American Bicyclists) explaining how citizens can be better advocates for cycling in their local communities. Minor correction, the Guide was actually funded by the Alliance for Biking & Walking. Speaking of the Alliance, they recently published a couple of complimentary references to FABB as well: In Streetside, their monthly e-newsletter, Advocacy Advance Grants Spur Success (see the sidebar comments about FABB), and on their blog, Road Design Decoded: An Advocate's Guide to Transportation Projects. Thanks again to the Alliance for the grant. It's been a year since bike lanes were stripped on Lawyers Road. The road was modified from four travel lanes to two travel lanes, two bike lanes, and a center turn lane, in what is known as a "road diet." Before the project I would avoid the road, especially on a bike. Traffic speeds were high and there was no shoulder so the road just didn't feel safe. For some cyclists it was OK; motorists could use the inside lane to pass. The Reston Bike Club Tuesday night riders could take one lane and there was still another lane for motorists. But for most cyclists, it wasn't a comfortable place to ride. The new configuration makes for a much more pleasant ride. The traffic volume is low enough that there is never much of a backup, even during rush hour. Speeds seem to be lower, and the bike lanes help considerably, giving cyclists plenty of room. I even use the road when I'm driving a car as it seems safer. VDOT is gathering statistics about safety and traffic volumes before and after the project. While waiting for the results of that study, you can fill out an online survey about the Lawyers Road project to let VDOT know what you think about the project. What do you think about traffic speeds before and after the project? Have the number of bicyclists and pedestrians increased? (I was surprised to see pedestrians using the bike lanes. They have nowhere else to go and are desperate for a place to walk.) Do you use the road more after the addition of the bike lanes? Probably the most important question on the survey is "A similar project should be considered for other streets in Northern Virginia. Agree or disagree?" We think there are many roads that could go on a road diet. Soapstone Dr intersects this road and leads north to the future Wiehle Ave Metro station and would be an ideal candidate for a road diet as would some roads in the Town Center. 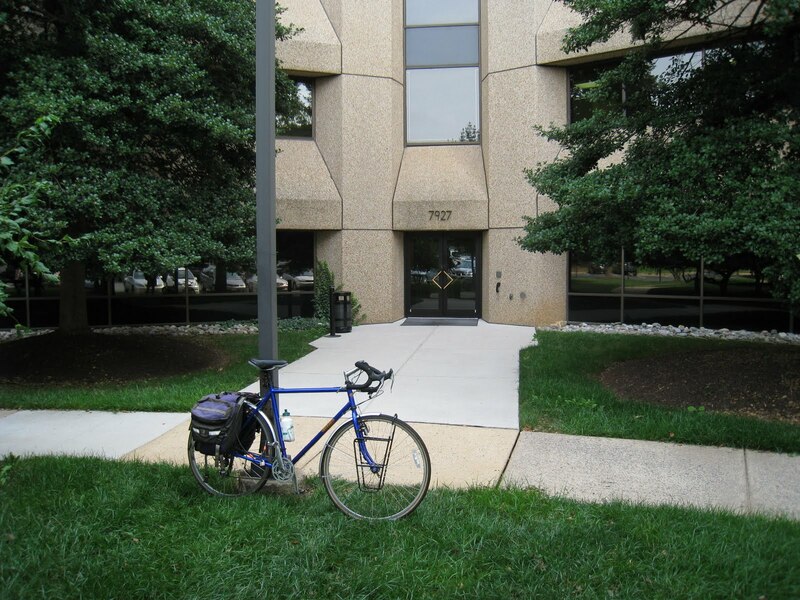 In the past week we've had bike-related meetings at three locations in Fairfax County, the bike coordinator's office, Visit Fairfax, and Northern Virginia Regional Commission. There was no visitor bike parking at any of the locations. 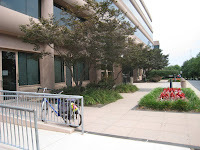 Worse, at the bike coordinator's office, where we had parking in front of the building, we were told, through an all employee message sent while we were meeting to discuss the Tysons bicycle plan, that we had to move our bikes immediately. Two of us had locked the bikes to the only places we could find to securely attach them, to the hand railings of the wide staircase leading to the building. We were told to "please promptly relocate your bikes to the bike rack located in the garage." The garage has three levels with one rack and no signs. I guess visitors are expected to ride around the building and through the garage in search of this lone rack. We did find the rack, a grill type rack with a bike parked parallel, taking up all of one side of the rack (which is the only way to use a u-lock with such a rack). The coordinator has been trying to get inverted u-racks installed since his office moved to the building; it's unfortunate it's taken so long. 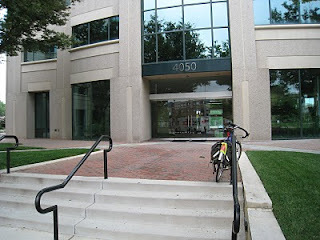 At Visit Fairfax, located in Tysons on Jones Branch Dr, there is no bike parking available anywhere. We used the light fixture out front. At NVRC it's the same situation, so we used the wheelchair ramp railing. A single inverted u-rack costs around $300 installed, a small price to pay to offer parking for visitors and to avoid having bikes randomly parked to fixed objects in front of the building. There are many examples of either lack of bicycle parking or incorrectly installed racks in the county. 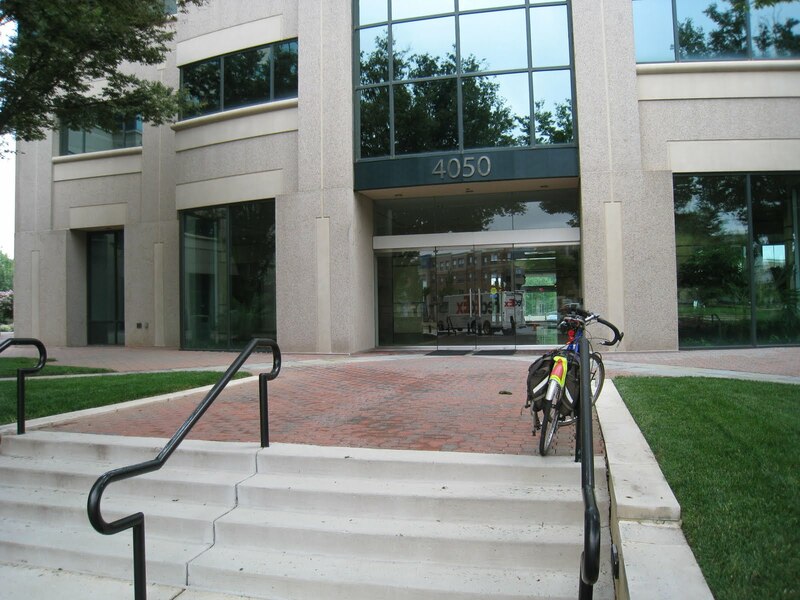 Fairfax County has never had a bike parking requirement at new buildings. Supervisor Smyth asked staff to prepare bike parking guidelines in 2007; they are still in draft form and haven't had an outside review. Once the final draft is ready, it will take time for the requirements to become official policy; they can't come soon enough. National government transportation surveys have shown that the vast proportion of short trips in the US are taken by personal motor vehicle. With that in mind, we took a look at some findings from a recent Fairfax County study which included the Herndon-Monroe Park & Ride (P&R). We were curious to see if many of the car trips to this facility were short enough to be easily replaced by bike trips. With 1,745 free parking spaces, Herndon-Monroe is the largest P&R facility in the county without co-located rail service and was constructed at a cost of $20 million. The dedicated ramps at this facility allow eastbound drivers from the Dulles Toll Road direct access into the garage. From there, drivers can take frequent express buses to metro stations, the Pentagon, Dulles Airport or DC. The transit station also acts as a local community bus hub and will be expanded for the new Herndon-Monroe metro station. A Silver line station will be located here as part of Phase II of the project. The 2008 study was performed to determine the starting locations of cars that park at the station. The results of the data reflect the two types of commuters: those who arrive from the west on the highway (from greater than 5 miles away, 38%) and those who drive on surface roads (0-5 miles, 62%). Looking at the close-up map, it is clear that many of that 62% share live within 2-3 miles of the facility, with a large cluster to the Southwest of the station (the median distance is 3.7 miles). Free Parking: Garage parking is free and plentiful. 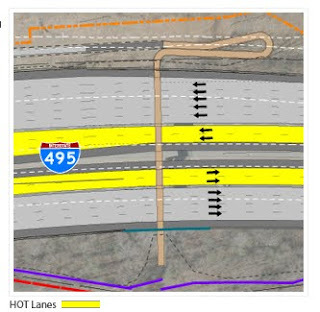 No Dedicated On-Road Bicycling Facilities: Sunrise Valley Dr has narrow travel lanes and the county bike map shows this as a less-preferred route for on-road bicycling. No Off-road Bicycling Connections: Even though the station is 0.5 miles from the heavily-biked Fairfax County Parkway and 1.5 miles from Washington & Old Dominion (W&OD) trails, there is no connection from these routes to the station. The sidepath on Sunrise Valley Dr is mostly a narrow sidewalk. Poor access to the West of the Station: Missing links in the existing facilities make biking and walking less attractive from this direction where most of the short-distance drivers are located. The majority of those who benefit from the expensive parking facilities are those living within five miles of the station. It would be much more cost-effective to spend devote funds in the future on improved non-motorized access and bike parking and less on very expensive structured parking. It would reduce the facility footprint, save on future operating expenses, and provide a community-wide benefit through improved non-motorized connectivity. 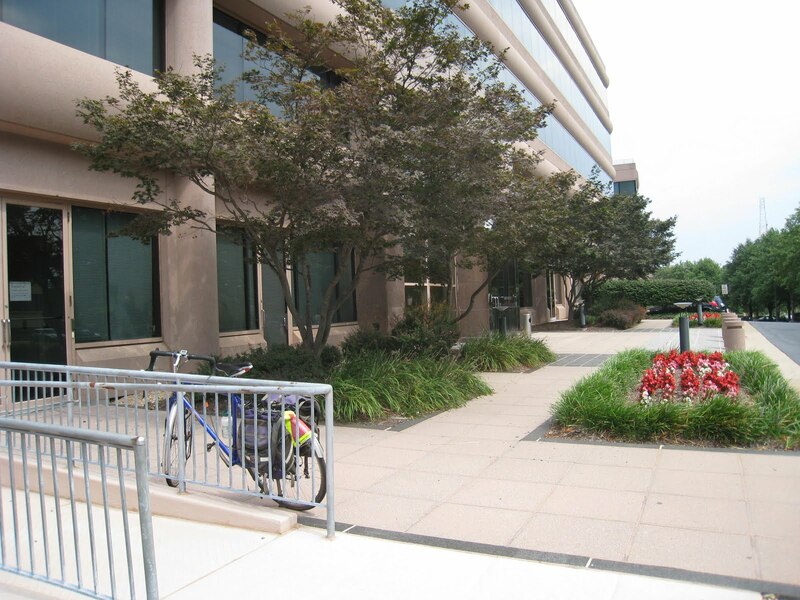 Instead the Herndon-Monroe transit station provides abundant free car parking and easy road access for local residents with no improvements for accessing the facility by bike or foot. The redevelopment of this site as part of the Silver line expansion is a chance to reverse this trend. The Tysons bicycle master planning process is officially underway (see earlier posts about biking in Tysons). The first meeting of the bicycle plan advisory committee was held this morning at the offices of the county Department of Transportation. The main contractor team, all cyclists, consists of Dan Goodman and Bob Patten of Toole Design Group and David Jackson of Cambridge Systematics. Represented on the advisory committee are FABB, bicycle retailers, Trails and Sidewalks Committee, Tysons Metrorail Station Access Management Study, VDOT, and several Fairfax County government staff. This first meeting was devoted to an overview of the project. Some time was spent discussing our goals for biking in Tysons and goals for the bicycle planning process. This is the first of two phases. The second phase is a countywide bicycle planning effort that is fully funded and which will begin after the completion of the Tysons plan. The Tysons phase is scheduled to be completed in February 2011. Monthly advisory committee meetings are planned along with two large public meetings to gather input from the wider community of cyclists. The first public meeting is tentatively planned for the first part of October, and the second meeting is planned in January 2011. We'll be posting information about the process as will the Fairfax County bike program and Toole Design. In the near future Toole plans to use an online mapping program, Community Walk, to gather site specific comments from the public. 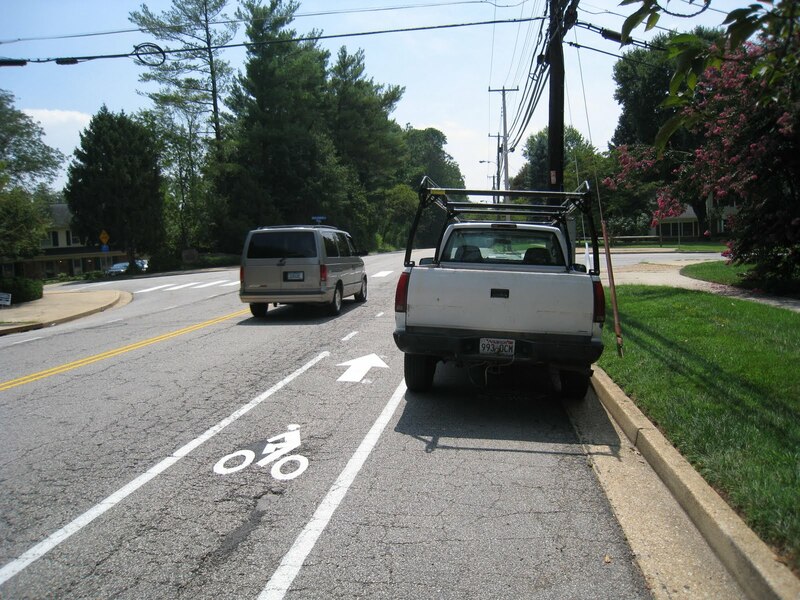 We're excited the bicycle planning process in Fairfax is now underway. It's been a major goal of FABB since the very beginning and it's finally become a reality. We hope all Fairfax cyclists will have the opportunity to provide input into the plan in the near future. When most people discuss the costs of various modes of transportation, they are usually referring to the direct costs of building and maintaining a facility such as a road, highway, or parking structure. There are many indirect costs, known to economists as "negative externalities." 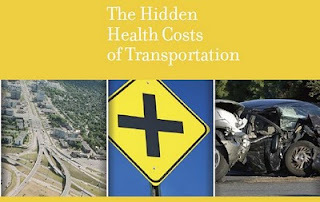 These are all the indirect costs associated with driving such as air and water pollution and the effects on public health, an environment built for cars at the expense of walking and biking, and deaths and injuries from car crashes. The combustion engine and the creation of the highway system increased mobility and access to goods and services.However, investments in highways have come at the expense of other transportation modes.Over the years this has led to a heavier reliance on vehicles and roadways and less on walking, bicycling and transit use. Further, suburban development has resulted in communities that are away from town centers and public transit and require a near-total reliance on the automobile for transport and access. modes of transport including biking,walking and public transit. Federal planning and funding practices need to more fully account for impacts, costs and benefits to health, throughout the planning and decision-making processes. A national set of health-related policy objectives needs to be part of the criteria for federal transportation funding decisions. develop and apply evidence-based tools that account for the health impacts of such investments.